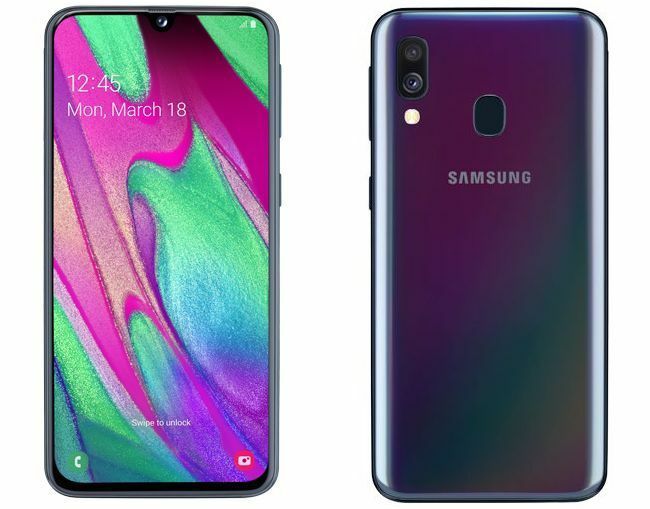 In a recent report on a German website we could see the Galaxy A40 with some of its basic specifications, however now this phone is available for pre-order in the Netherlands, and its official launch is scheduled for April 10. Galaxy A40 comes with an Exynos 7885 chipset which works with two Cortex-A73 cores clocked at 2.2 GHz and 6 slower Cortex-A53 cores clocked at 1.6 GHz. This smartphone comes with 4GB of RAM and 64GB of internal storage memory, as well as a dedicated microSD card slot through which users will be able to expand the storage memory by additional 512GB. It uses a 5.9" FullHD+ Super AMOLED display with and Infinity-U notch design. When it comes to the camera, on the back the A40 has a double camera setup with the main 16MP f/2.0 sensor and the secondary 5MP f/2.2 camera. The front-facing camera comes with a 25MP sensor. 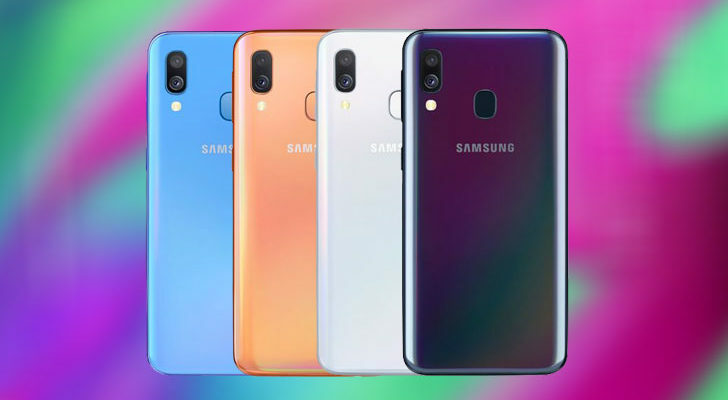 Samsung Galaxy A40 has a somewhat smaller battery of 3.100 mAh capacity. The fingerprint scanner of this device is placed on the back, while the device is available in black, white, blue and coral color options. It will be priced at 249 euros and based on that we can see that this phone is a true mid-ranger.